How often should I schedule the same song? When it comes time to plan the upcoming set list, I bet you spend time wondering if it is too soon to schedule the same song again…I mean, it has only been two weeks since the last time it was scheduled. To tell you the truth, I struggle with the same thought almost every week. I was talking with a fellow worship leader a few days ago about this very subject. We were about to lead a night of worship together and were discussing whether or not to play the opener song again at the end. Song recurrence really doesn’t matter. So, this got me thinking…we as worship leaders tend to overthink how often we play a specific song. Did you ever notice that most people listen to the same songs every day on the radio? Even if they don’t listen to the radio, I bet they replay the same iTunes playlist or Pandora channel over and over. This is a good indicator that how often we schedule a song should not be a determining factor in our song selection. What should we consider when planning the set list? The Still Small Voice – I believe the Holy Spirit gently leads us to the songs we should sing each Sunday. There are many who think He will only do this on Sunday morning, but considering He knows the future, I am pretty sure He can guide us ahead of time as well. Engagement – Every new song goes through a three-week trial period at my church. If the congregation is still not engaging with the song after three consecutive weeks, it gets retired for good. Removing non-engaging songs from your list of available songs will help tremendously when you are planning the set list. Flow – Have you ever scheduled a set list that didn’t flow? Maybe the song themes didn’t fit together or the different keys didn’t gel. There are many things that lead to a set list that feels broken, so be sure to spend time thinking through song transitions and how the songs relate to each other. You don’t want to leave room for the congregation to get distracted between songs. Moral of the story, don’t let unimportant things like song recurrence distract you from planning the right set list for your church. On top of this, be sure to relax when you are planning the set list. Don’t worry yourself about finding the ‘perfect’ set list. In the end, as long as the congregation is singing Biblically-sound songs, they will leave better than they were before. This is really good!! 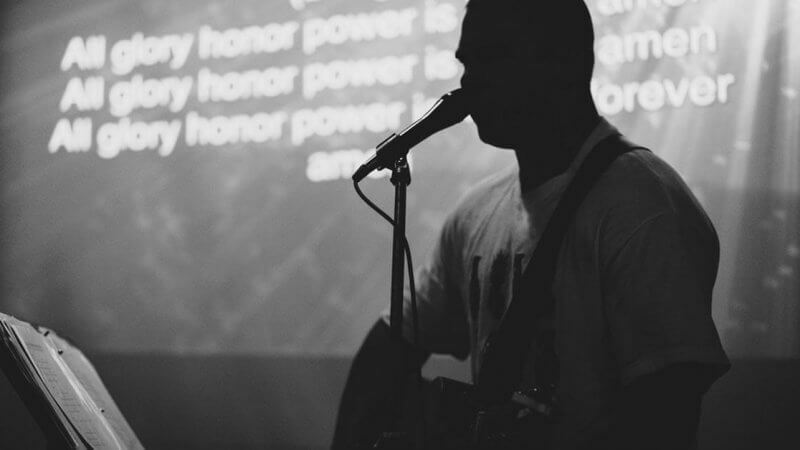 As a worship leader myself, I’ve struggled with that very thing. Wanting to do a song because it flows well with the other songs, and then I think …..but I did this song last week. Thank you for sharing your wisdom and insight! It is much appreciated and very encouraging. Amen! I have been intentionally repeating songs often enough to keep them “singable” for the congregation for a few years now and it has been great! Many times I will close one week with a song and open the next week with that same song with great success. I have seen the Spirit guide my set list so many times to get just the right feel for what the pastor is doing (even when I have had NO IDEA what he was going to preach about!) I usually pick my set list on Monday for the following Sunday. GREAT article! Great thoughts Kade. I love your thoughts on engagement and the idea of having a three week trial period. I’m still surprised by what songs work for my church and what doesn’t. Having sometime kind of system like that helps worship leaders discover what songs their churches will connect with instead of just scheduling songs the worship leader likes. Very Helpful, agreeable, and reassuring on most parts. I too go through same thing EVERYTIME I lead, every other week.